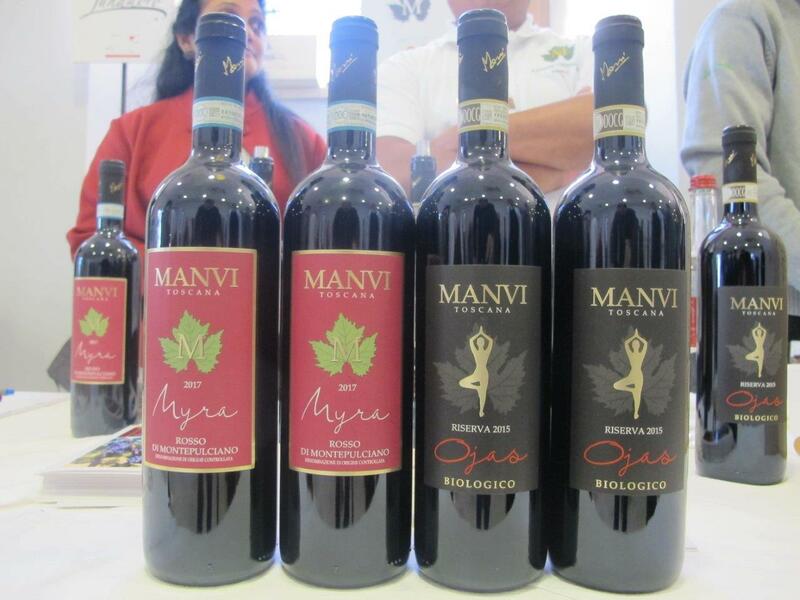 I was perplexed when I received a mail from a ‘Manvi Winery’ in Montepulciano barely a couple of days before I was to leave for Tuscany for the Tuscan Marathon Tasting from 9-16 February. The name sounded Indian so I read the mail carefully. I wasn’t surprised to note that it was owned by an Indian couple and confirmed immediately that I would see them at their stand during my visit. 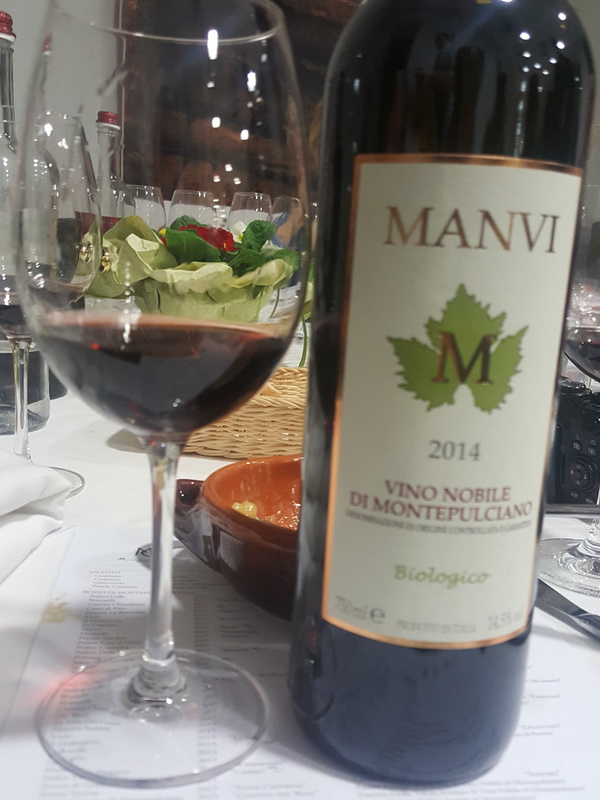 I sought them out at the dinner organised by the Consorzio del Vino Nobile di Montepulciano on the evening of February 14 at the Fortezza, a day before the Anteprima was to be held there on February 15. No wonder I had never met them or heard of them before at the event since this was the first time they were participating at the Anteprima but were very enthusiastic. With less than 2 Ha of vineyards in production, they are perhaps the smallest commercial winery in the Consortium and produce only around 7,000 bottles of wine annually. But they have been at it for the last few years and all their wines are Certified Organic. 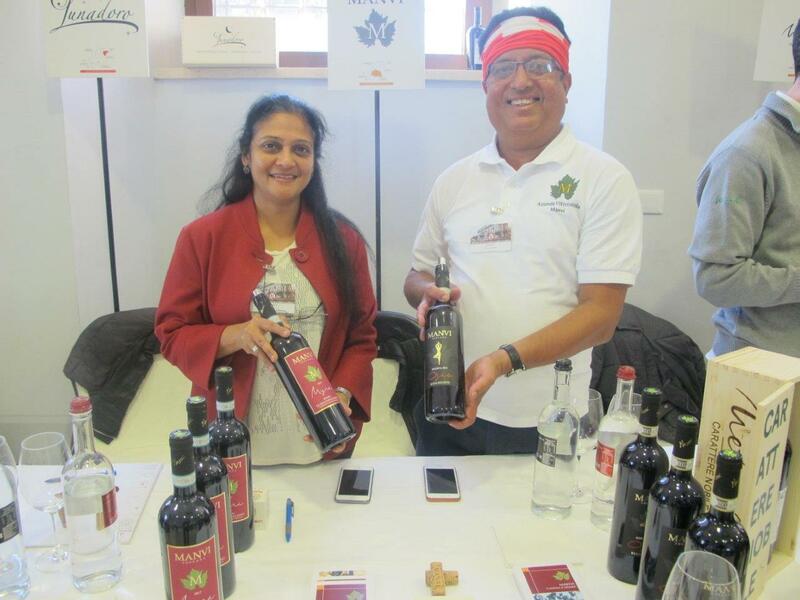 ‘We are an Indian born Canadian / Swiss couple that gave up our successful global banking careers to follow our passion for wine and live the dream of producing wine in Tuscany,’ Puru told me. 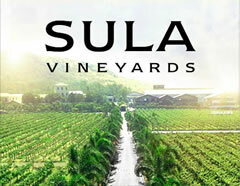 It seems to be more of his being bitten by the bug than his wife Sudha Manvi who is now as enthusiastic and enjoys the life of a wine maker. ‘We are a family run winery and take part in each and every step of the process to ensure integrity and quality. Our philosophy is to produce high quality wines that truly represent the terroir using grapes that are also cultivated organically,’ says Puru. Though rookies at the annual event of wine tasting for the international and Italian Press , the couple joined the Consortium of Vino Nobile the first thing after they bought the vineyard along with the winery from a hotelier/restaurateur who was not interested in selling wines but making only for self use and selling at all his properties , and was not keen on improving the quality. Puru Manvi left Hyderabad when he was young and went to Switzerland where he has been working in banks most of his life, barring a few years in Canada-so did his wife. At the age of 25 he decided to retire when he would be 50. ‘When I reached 50 I was vacillating for a while but at 51 I decided I must pursue a different, more interesting career. Wine and farming were my interests and I wanted to do physical labour at this time of my life. Since continuation of work was a hindrance to my plans, I quit my job as a banker and came to Italy, spending one year in the interim going to India and driving around on a motor bike to draw some inspiration. 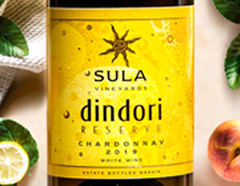 I loved wine and had done some sommelier courses also, so I decided to buy a farm and start making wines,’ says Puru. The couple came to Italy to do the recce for the proper plot of land. ‘It was my desire to set up a farm in Piemonte but the land was very costly there. Similar was the case with Montalcino where I wanted to make Brunello, my next choice. 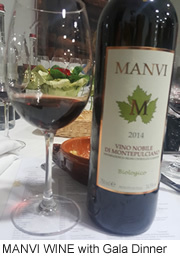 But Montepulciano I felt was very under rated and offered a better potential and so we focused on this area and bought the small piece of land to begin with. A lover of all-things-Italian, Puru feels the producers make excellent wines here and are the underdogs of Tuscany. The wines are no doubt expensive but they have no difficulty selling them as they are a boutique winery, making organic wines. ‘We have solid banking connections throughout the world and with this network we are able to sell every bottle. 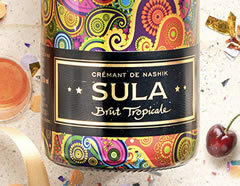 Our prices are a bit high but not for the quality we produce,’ says Sudha with confidence. I see a lot of similarity between the other wine couple from Hyderabad, Krishna and Uma Chigurupati who have set up a boutique winery Hampi Hills making high quality wines also driven totally by passion. Puru and Sudha Manvi do not know the couple from their old city of residence though Puru claims to have read about KRSMA wines somewhere and replied in the affirmative when I told him they must meet the couple when in Hyderabad. The couple was leaving for India the same afternoon when the tastings took place with the producers and missed the chance of interacting with the journalists at the winery. 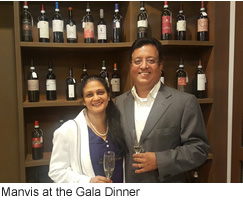 ‘We will have time to taste our wines next year as we are here to stay,’ said Puru who was pleased that the couple got special attention at the dinner and the tasting next day since they were the only ‘Indian’ couple. They seem to have suddenly got into the mould of marketing like other Montepulciano producers. 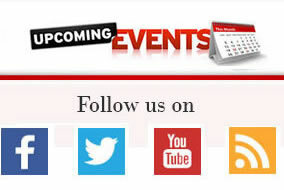 They are taking part in Prowein this month as well as Vinitaly next month. 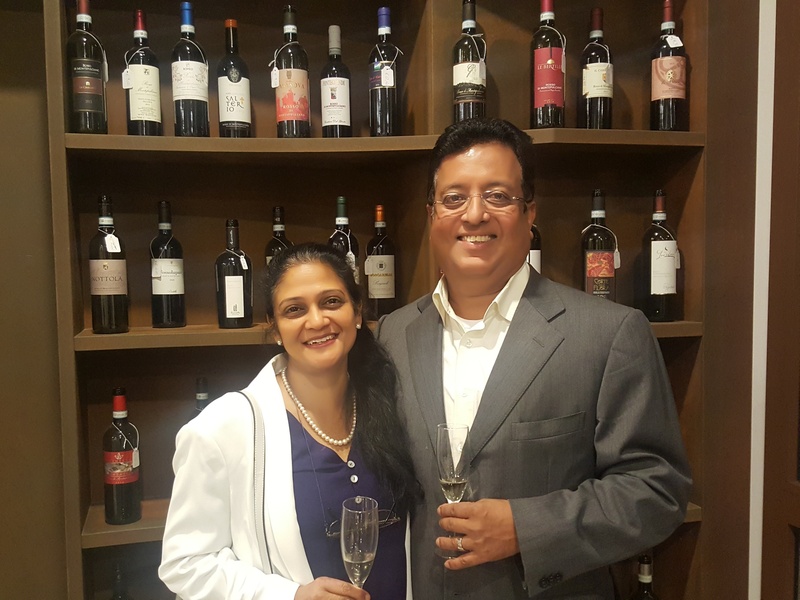 You may visit this Indo-Swiss-Canadian couple and taste their wines at Prowein, Düsseldorf from 17-19 March at Hall 16, Stand F31 and Vinitaly, from 7-10 April at Hall 9, Stand D12-D13.